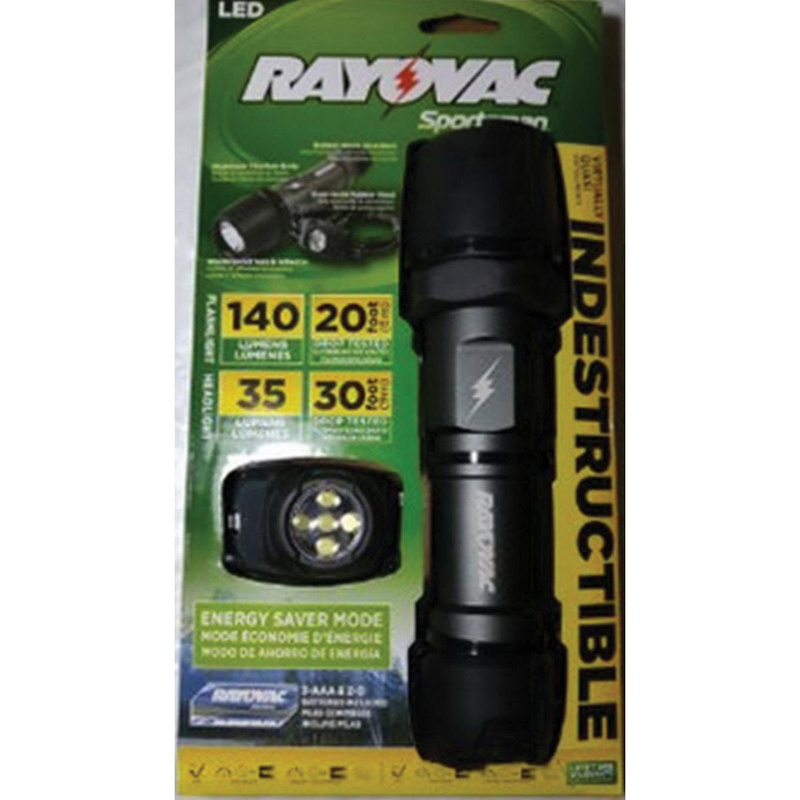 Spectrum Rayovac® Outdoor rated indestructible sportsman flashlight comes with head light for use in sports activities. Flashlight features high performing LEDs that provide 140 lumens for bright beam light to reach up to 316 m. It has a shatter-proof lens and reflector for illumination of light. Aluminum-titanium alloy construction of this flashlight comes with rubber head and tail cap with shock absorption technology for added safety. Headlight comes with high performing LEDs and custom optics for bright light illumination. It provides two modes of light, such as 35-lumens and 11-lumens for energy saving. Rubber body construction offers impact resistance.